Japan-Australia relations started off by swinging into action – literally. 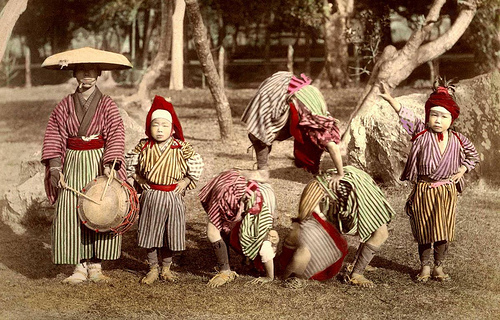 First contact came in 1867 when a Japanese acrobatic troupe visited Down Under in 1867. A few years later (the exact date is unknown – some say 1871, others 1874), Rikinosuke Sakuragawa, an acrobat touring Melbourne with another troupe, married an Australian woman and they settled in Queensland, where their descendants remain today. Sakuragawa was the first recorded Japanese resident of Australia. He would herald pre-White Australia Policy Japanese migration that peaked from 1893 and 1898, when about 3,500 people settled. Do you know something about Australia-Japan relations that most people don’t? Want to share it with Kangaeroo’s readers? Please let us know.